Heavyweight superstar David Batista is coming inside the MMA cage sooner than expected. Are we looking forward on a May debut? 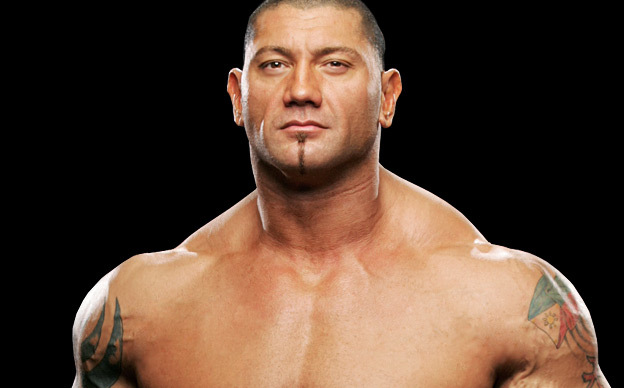 MMAWeekly reported about a rumor mentioning the debut of former WWE wrestler David Batista inside the octagon. According to the site’s independent sources, Batista will likely to debut on the mixed martial arts cage this May however, not in the US territory. It has occurred that the cause of the issue of his debut fight is that he has the desire to do the fight before September. After September, Batista will start to work on a film project. Several organizations are asking for his services, one of them is Strikeforce’s Scott Coker, but according to sources, Batista is actually thinking of going to a British-based BAMMA promotion. As of the moment, BAMMA officials has no comment on the matter.